The University of Redlands and its faculty, students, and employees have been honored by a variety of organizations from the Princeton Review to IES Abroad. The latest College of Distinction lineup, which comprises selected universities with “engaged students, great teaching, vibrant community and successful outcomes"
Professor of Spanish and Latin American Literature Ivonne Gordon-Vailakis has been selected to speak at the 47th annual Conference on Literature and Culture in Louisville, Kentucky in February. Read more in this recent profile. English Professor Priya Jha has been invited to speak as part of the Conference on World Affairs at the University of Colorado, Boulder, from April 9-13. The conference, which draws more than 70,000 in attendance each year, brings together thought leaders from across the globe. English Professor Sharon Oster has published her first book, No Place in Time: The Hebraic Myth in Late-Nineteenth-Century American Literature (Wayne State University Press, 2018). Read more about Oster and her book in this Bulldog Blog interview. Andrew Wall, dean of the School of Education, has been chosen as the Association of Independent California Colleges and Universities (AICCU) representative to the California Commission on Teacher Credentialing, an agency in the Executive Branch of California State Government created to serve as a state standards board for educator preparation for the public schools, the licensing and credentialing of professional educators, the enforcement of professional practices of educators, and the discipline of credential holders in the State of California. AICCU President Kristen F. Soares noted Wall’s “scholarship, experience and leadership” make him well-suited to assume the new role. Leo Rowland, director of study abroad, has been honored with the Volunteer of the Year Award from IES Abroad, a leading not-for-profit study abroad organization, for supporting and strengthening the mission of the study abroad field through extraordinary volunteer efforts. “[Leo’s] work both as an administrator and faculty member in the field of study abroad widely exhibits his dedication to students’ academic success,” said Michael Green, associate vice president of recruiting and college relations at IES Abroad. Religious Life Chaplain Peter Tupou was presented with the U of R’s Frank J. Rice Memorial Service Award for his many volunteer activities throughout the community. Honoring the late Frank J. Rice, U of R alumnus and founder of the Los Angeles Men's place (LAMP), a shelter housing mentally ill men and women on Skid Row in downtown Los Angeles, this award recognizes U of R employees who embrace the spirit of giving throughout the year. Ray Watts, associate vice president for development and senior philanthropic advisor, was elected to the 2019 National Board of the National Association of Charitable Gift Planners. Beginning his three-year term this month, Watts joins 18 individuals from throughout the country who serve on the national board representing over 100 councils and 8,000 professionals in the field of charitable gift planning. 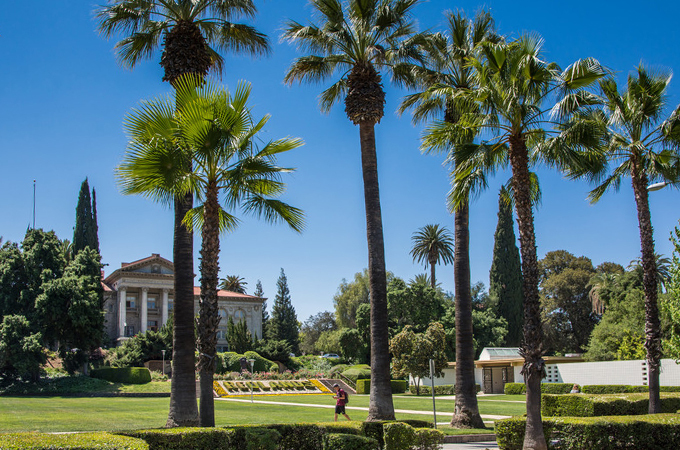 Learn more about the University of Redlands.